Here's a roundup of some of the things I've been loving this week! Bathing suits! I haven't bought a new one in a couple/few years, but I've been seeing so many lovely ones that I may need to bite the bullet this year! This adorable shop called Rare Indeed. 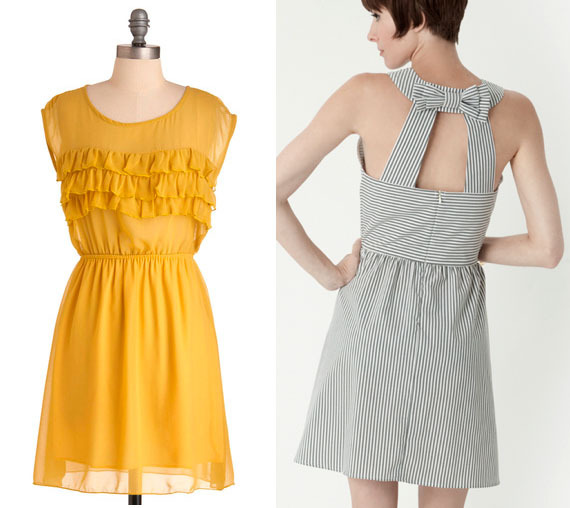 There's never a shortage of adorable dresses to browse. This week was filled with thrifted treasures, dinner and coffee with friends (more of that to come tonight), and some special behind-the-scenes stuff I'll get to share more about next week. Thank you to everyone who ordered from my Reloved shop. There are still some things left for purchase and more will be coming soon! That table and chairs are soooooo adorable!! What a find! I WILL own that anthropologie swim suit! It is so cute!!! And I love how modest it is! Love it! 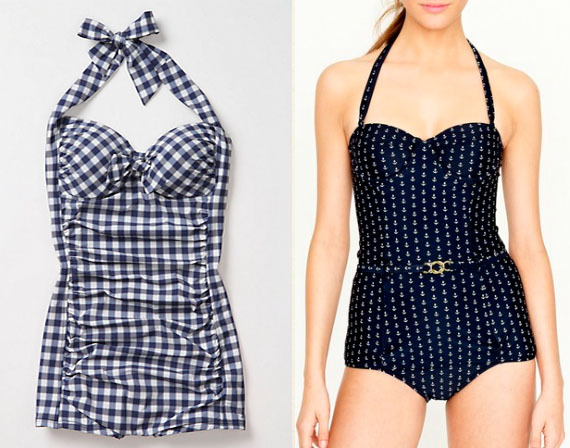 I love the more modest "retro" swimwear as well! I'm definitely in need of a new swimsuit too, but it's so hard to find any that fit me! 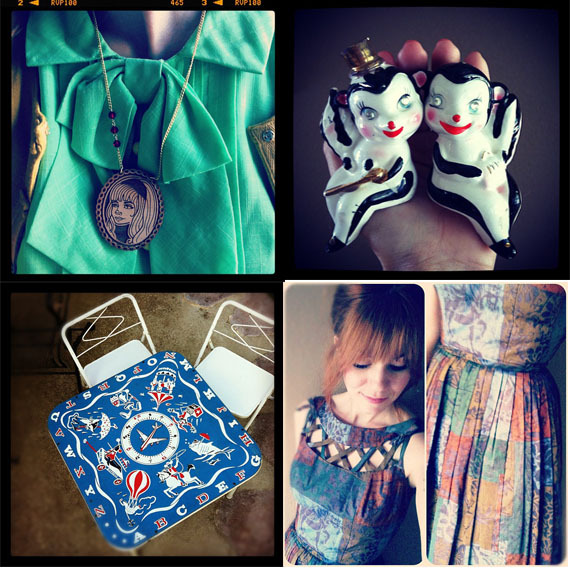 That shop is so sweet, I love the hot air balloon necklaces, and that dress you're wearing in that last picture is stunning! Love those dresses - so cute! Oooohhh that yellow dress is so pretty :) I love the swimsuits. I've always loved one pieces, but I've never had one. Happy Weekend! I want that bathing suit! Thank you so much for including a link to Rare Indeed! The last thing my wallet needed was another Etsy shop to add to my favorites, but this is one of the best that I've seen in a long time. Those letter earrings are awesome! Ohhh that table is adorable! :) I'm on the lookout for the perfect bathing suit too, why do all the pretty ones have to be so expensive! Oooh, I'm really lovin' those bathing suits! love the old school bathing suits! I am trying to lose some weight for this Bettie Page swimsuit on Mocloth.. I could totally see it, too. I love browsing dresses. I never buy them online but I do pin about a million on Pinterest. great items! love it all! and so sorry to hear about your step dad. you'll all be in my prayers.